As we’ve oft noted in these pages, not only have designers since time immemorial had a particular fascination for chairs, but society a particular predilection. Arguably the two are related and can be traced to the long, universal, cultural, political and social relevance of the chair and the act of sitting, a state of affairs which not only makes the physical chair/seat an integral part of our lives, but the metaphorical: excitement brings us to edge of our chairs, those who are brave/foolish enough place themself in the hot seat, while we either sit in judgement or on the fence depending on what prudence and prejudice advise. And so following on from our Cupboards, Closets, Wardrobes Playlist, a Radio smow Chairs Playlist, starting with five songs which discuss the action, symbolism and relevance of chairs/sitting in various contexts. Considerations on which can keep us occupied for hours. We have long wondered if in venting his frustration and despair on his chair, Neil is/was hoping the chair would hear him, and confirm, share, his grievance. While knowing full well it couldn’t. Thereby making the chair comparable with a dog, that loyal companion through thick and thin, yet a mute companion who can do little save offer comforting looks and a feeling of security and camaraderie through physical closeness. It may of course just be that “chair” rhymes very satisfyingly with “there”…. James’ singer Tim Booth often recalls one of the first times they played Sit Down live, and how spontaneously, ever so slowly, the entire crowd sat on the floor. Having ruined more pairs of shorts than we care to recall though sitting on beer and cider soaked disco floors to this masterpiece, we can’t necessarily recommend such; would however always recommend the song’s principle message of opening yourself for those in need, of being a friend to those with problems, of inviting those who feel the breath of sadness, those who find they’re touched by madness and those who find themselves ridiculous, to sit down next to you. Not least because, have we not all, and wished someone would…..
A “Chairman” is so-called because back in the day, he – and invariably it was a he – was the only person who had a chair. All the rest sat on benches. Or going even further back in the day, squatted in the dust on their haunches. Thus in the term one finds a very nice reminder of the cultural and social significance of the chair, and that originally chairs were little about comfort or formal beauty and all about the status they bequeathed, serving as they did as a, literal, seat of power and privilege. If Iggy Pop feels privileged as the Chairman of the Bored is questionable, his power however isn’t. With A House Is Not a Home Dionne Warwick, or in the interests of fairness, Hal David, who wrote the words to Burt Bacharach’s melody, not only makes a very valid point about the role of emotion in architecture, but also neatly, if indirectly, underscores that the same applies to furniture. Although we’d agree that a chair is still a chair, even when there is no one sitting there, we’d argue that a chair is a house. And that Dionne delivers the decisive argument….. Similarly over the years a chair can become an object that is much more than the sum of its form, function and the context in which it was realised, but which is augmented by the emotional attachment and associations formed, the patina arising from regular use and misuse, through becoming something that holds you tight….. There is just no word for that. It’s still “just” a chair. A Pulitzer prize. An Oscar or two. A Bentley or Benz. A college degree. A job with some hope. All things US avant-garde popsters Sparks and their Scottish disciples Franz Ferdinand, united here under the pseudonym, FFS, will never get. Amongst the sextet’s unreachables one also finds String theory, Schoenberg and twelve-tone, and A chair that’s designed by Charles and Ray Eames. One presumes the inference is the Eames Lounge Chair, one of the most universally endearing symbols of seated luxury. But the best chair designed by Charles & Ray Eames? Albeit without being able to settle on what is. For although it takes a very good, very well reasoned argument to convince us that anything is better than the plywood chairs, a couple of objects in the aluminium collection approach just such a well reasoned argument. In addition, since seeing the La Fonda bar stool at Grand Rapids Art Museum and understanding the construction principle, we’ve developed a much stronger affection for the La Fonda chairs. Then there is, lest we forget, the plywood chairs. The RAR? And the longer one considers the question the more one realises that just as a favourite song, book or art work is largely a question of how you’re feeling on a particular day, so too is the question of a favourite Eames chair one of mood and circumstance. 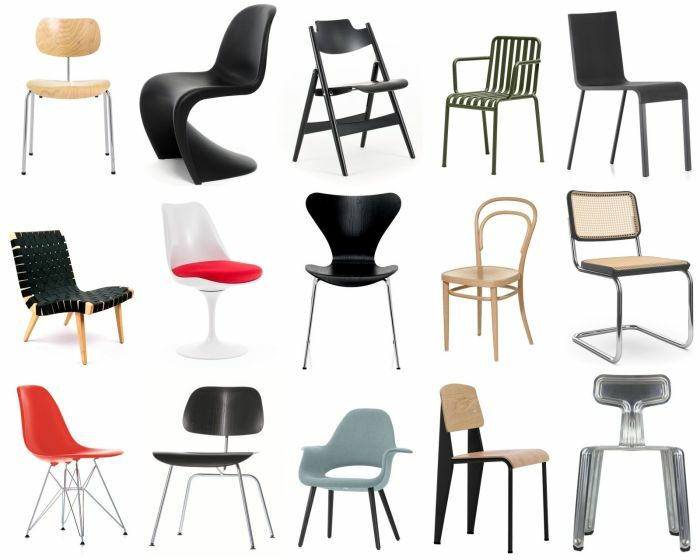 Considerations which arguably underscore why one can, should, consider Eames chairs as cultural objects akin to a song, book or art work.